Welcome back! 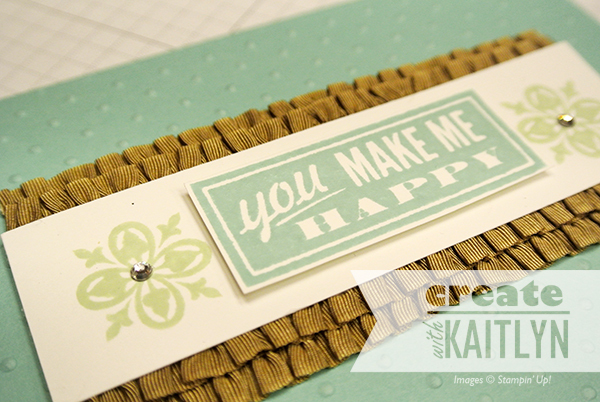 I have another simple card for you today using the Hello Lovely stamp set. 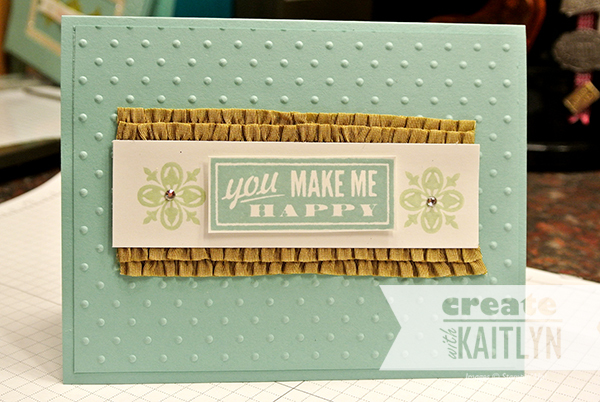 The ruffled ribbon is so much fun! Here I layered a couple pieces of the Baked Brown Sugar Ruffld Riboon behind my focal point. The sentiment was cut out with paper snips and popes up to make it stand out some more.